There can be few cars that stir the soul like a Jaguar, except maybe a Police Jaguar! The sight of a Police Jag in your rear view mirror did a bit more than just stir your soul ! 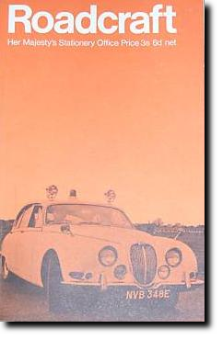 Jaguars were a popular choice with the United Kingdoms Police Forces in the 1960s but it was mainly the Mk2 and later the 340 that were used. Only a few forces opted to use the 'S' Type Jaguar with a 3.8 litre engine. They were used as police patrol cars, especially on UK motorways which in the 1960s had no speed limit. It is sometimes rumoured that the police frequently upgraded the 3.8 with the XKE inlet manifolds and triple SU carburettors. However, the E type manifold will not fit the MK2 cylinder head and there was no other manifold available to enable the triple carburettors to be fitted. The Metropolitan police had the biggest fleet of 'S' Types, buying some 266 of them in total. The Met Police used them both as Traffic cars and Area cars. There were no luxury fittings on them, with the walnut dash and door cappings being painted over in matt black paint. The Metropolitan Police also fitted a low ratio back axle. This reduced the top speed, increased acceleration which was far more beneficial in town work, they also upgraded most of the engines from 3.4 litre to 3.8 litre.